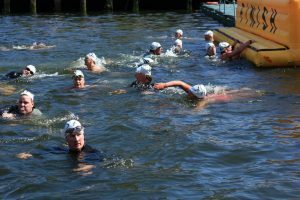 The launch of the Vibes & Scribes Lee Swim in Cork, which will take place on Saturday,July 22nd. Pictured at the Clayton Hotel Cork City were Ciaran O’Connor, Terry Fleming and Aideen O’Leary, three organising committee members; Lord Mayor, Cllr. Des Cahill; Joan Lucey, Vibes & Scribes, (sponsor) and Angela Harris, P.R.O. 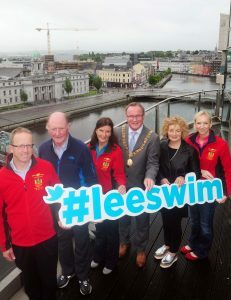 At the launch of the Vibes & Scribes Lee Swim in Cork which will take place on Saturday, July 22nd. were Elaine Higgins and Audrey Burkley (right). 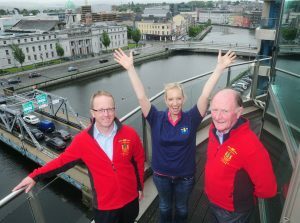 At the launch of the Vibes & Scribes Lee Swim in Cork which will take place on Saturday, July 22nd. 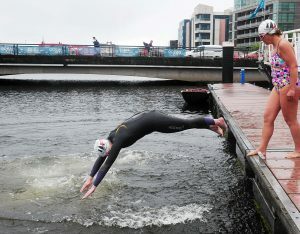 were Elaine Higgins (nearest) and Eleanor Moore. 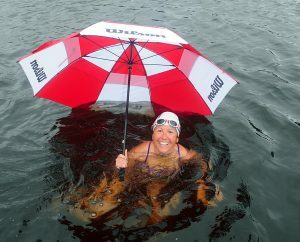 Audrey Burkley at the launch of the Vibes & Scribes Lee Swim in Cork which will take place on Saturday, July 22nd. 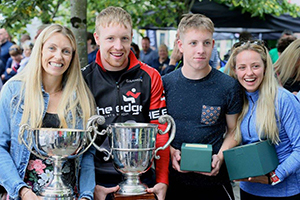 Audrey Burkley, Mike Harris (centre) and Julian Boeg at the launch of the Vibes & Scribes Lee Swim in Cork which will take place on Saturday, July 22nd. 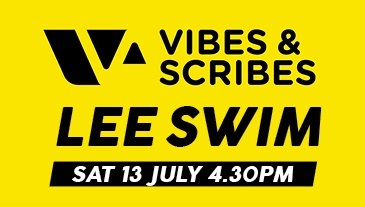 At the launch of the Vibes & Scribes Lee Swim in Cork which will take place on Saturday, July 22nd. pictured at the Clayton Hotel Cork City were (from left) Ciaran O’Connor, Terry Fleming and Aideen O’Leary, three organising committee members; Lord Mayor, Cllr. Des Cahill; Joan Lucey, Vibes & Scribes, (sponsor) and Angela Harris, P.R.O. 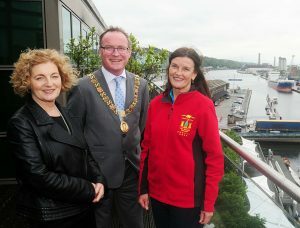 Joan Lucey, Vibes & Scribes, sponsor, (left); Lord Mayor, Cllr. 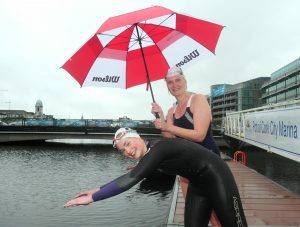 Des Cahill, and Aideen O’Leary, one of the organising committee, pictured at the launch at the Clayton Hotel Cork City of the Vibes & Scribes Lee Swim in Cork which will take place on Saturday, July 22nd. 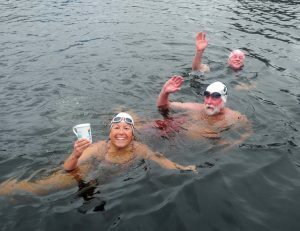 Ciaran O’Connor, (left) Angela Harris and Terry Fleming pictured at the launch at the Clayton Hotel Cork City of the Vibes & Scribes Lee Swim in Cork which will take place on Saturday, July 22nd.